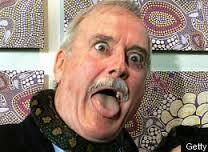 My dear friend and living legend is getting older but no less silly. Happiest of birthdays, John! This entry was posted in Uncategorized on October 26, 2015 by howardjohnson1985. 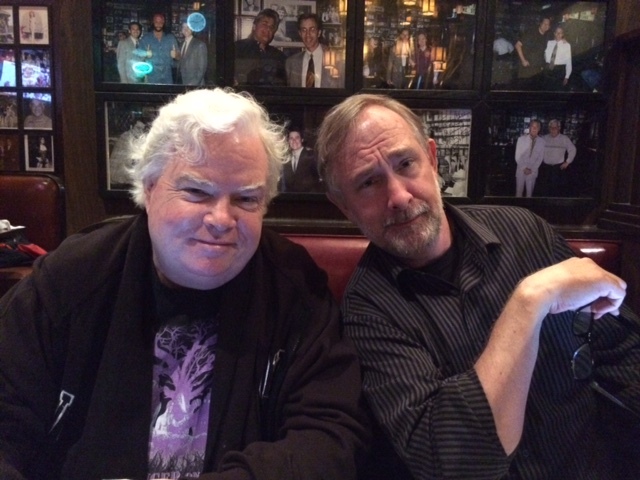 …If you’re in Chicago right now, tonight is your last chance to see @TraceBeaulieu and @FrankConniff of MST3K, riffing on movies @North Bar! Last show tonight at 10 pm Sat Oct 24! What are you waiting for? The info’s right here! 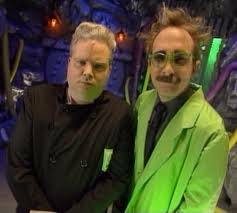 This entry was posted in #chicago, #MST3K on October 24, 2015 by howardjohnson1985. This entry was posted in Uncategorized on October 20, 2015 by howardjohnson1985. And last night, that’s exactly what happened. Justin Trudeau, soon to be Prime Minister Trudeau, couldn’t have been nicer. 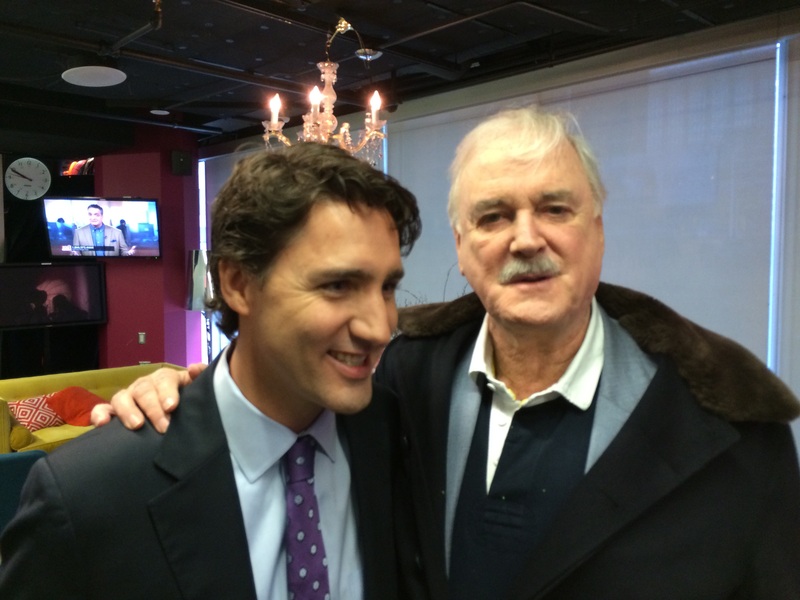 He slipped out of campaign mode, long enough to chat, although it was Canadian campaign mode, which meant he was very decent and polite. This entry was posted in Uncategorized and tagged #mst3k on October 20, 2015 by howardjohnson1985. And I would be remiss if I didn’t strongly urge you to seek out and attend Whose Live Is It Anyway?, the live show based on the long-running improv TV show. The current cast includes Ryan Styles, Joel Murray, Jeff Davis, and Greg Proops, each one brilliant, but put ’em all together and you’ll be blown away. 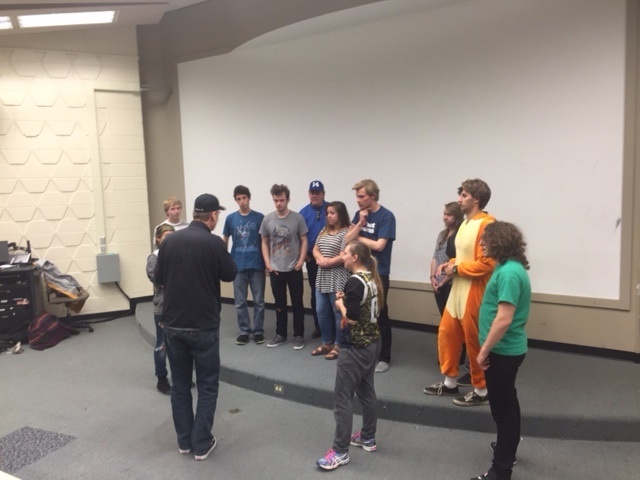 And, I don’t just say that because of the incredible surprise they pulled off for some of my own improv students which is posted elsewhere. Because my improv interests are primarily longform, for a long time I made the mistake of thinking that an evening of games wouldn’t appeal to me as much. Boy, was I wrong! This group does improv games as well as I’ve ever seen them done. 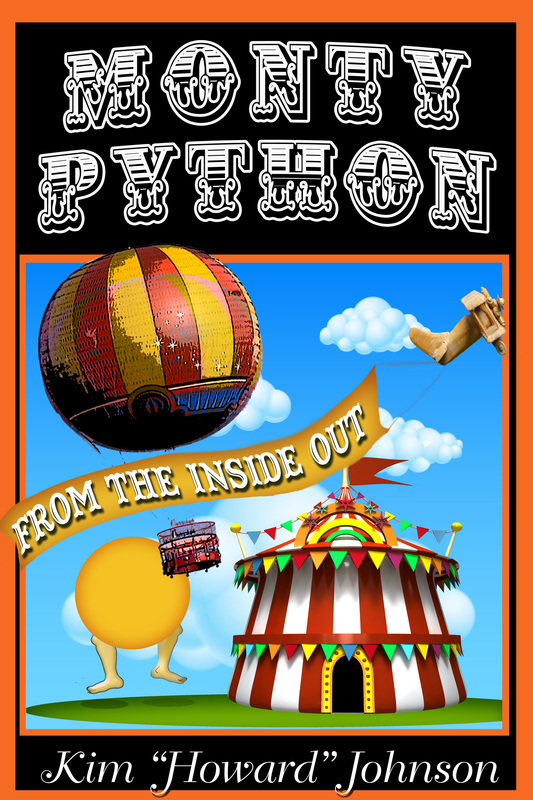 It’s an evening filled with music, audience participation, and plenty of classic games. But afterward, I started thinking about what I had just seen. While I’m used to scene-based longform, I realized that what they present is actually game-based longform! There are callbacks galore, as they weave material, suggestions, and characters throughout the evening in a way that really isn’t possible in a half-hour TV show. Here’s the info. You do not want to miss this. 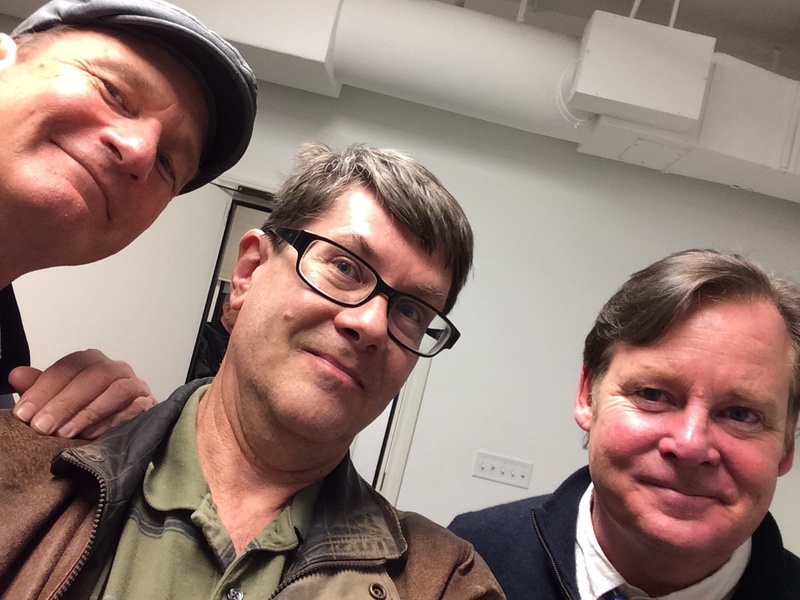 This entry was posted in Improv and tagged #iochicago, #whoseliveanyway, @joelmurray9of9 on October 19, 2015 by howardjohnson1985. 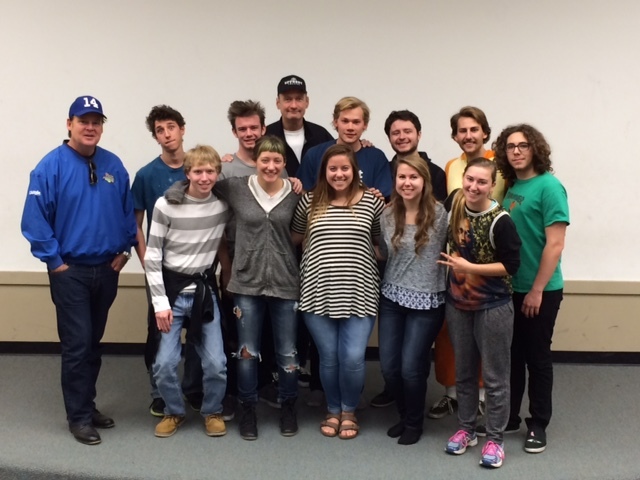 …Well, some of you know that I coach Illinois State University’s Improv Mafia on an irregular basis. Although I often get more out of it than they do, none of them will forget Saturday’s workshop. It all started a couple of days before. 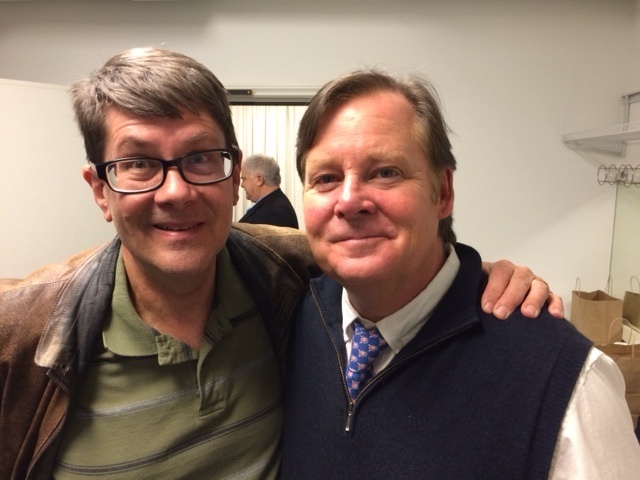 I learned that my good friend and Baron’s Barracuda Brother Joel Murray would be in the area. In addition to acting in loads of TV shows (including one called Mad Men), directing, and improvising out of the iO West nowadays, Joel also tours with Whose Live Is It Anyway?, the live-on-stage version of the long-running improvisational TV series. Cut to Saturday afternoon. The group was in the middle of some longform improvisation, when Joel and Ryan Styles walked in. 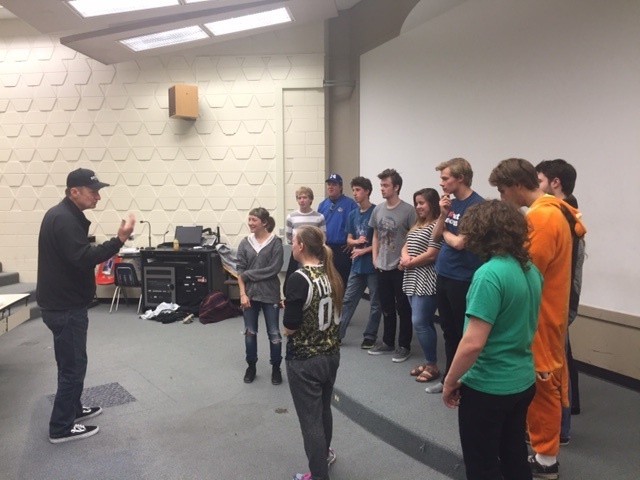 Consider that many of these students first learned about improvisation watching Whose Line Is It Anyway? and you should have a clue as to how amazing it was for them. You could compare it to a group of music students going to a guitar lesson in rural Illinois and having Eric Clapton walk in. They sat watching, asking questions, making some valuable suggestions, until they had to get back to their hotel. (Joel told me later that if he hadn’t dragged Ryan away, he never would have left.) Of course, they happily posed for pictures with the class before leaving. And this is the great thing about most of the improvisers that I know. They are generous with their time, and happy to pass along what they have learned to the next generation. The last thing Ryan and Joel needed to do on a beautiful fall afternoon was to sit down and watch a group of college students passionate about learning the things they learned about many years before. But that’s just what they did. Thanks so much guys. This entry was posted in Improv and tagged #whoseliveanyway on October 18, 2015 by howardjohnson1985. 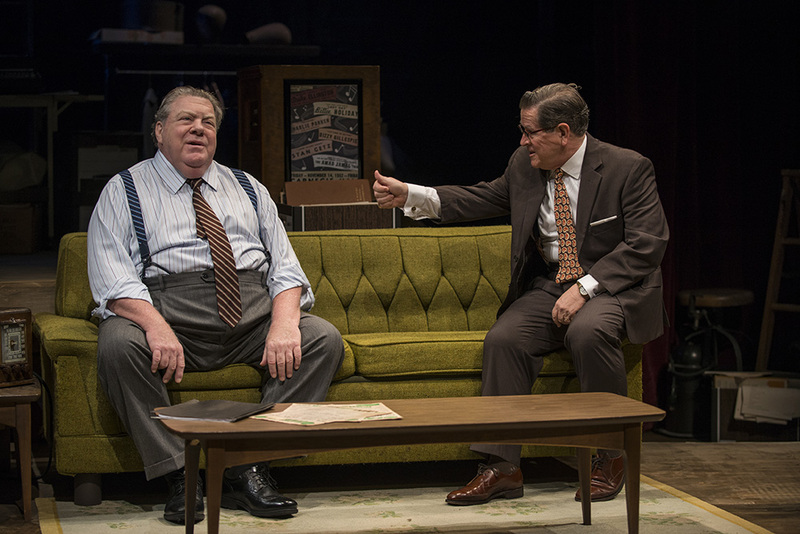 I had the pleasure of seeing a wonderful new play at the Northlight Theatre in Skokie this weekend, and if you’re anywhere in the vicinity–or even if you’re not–I strongly urge you to go way out of your way to see this world premiere that is running for two more weeks. Full disclosure: Funnyman stars two friends of mine, George Wendt and Tim Kazurinsky, but I’d be strongly recommending it even if I’d never heard of either one of them. Folks who know George only from Cheers may be in for a surprise. This is a very emotional role that runs the gamut from laughs to heavy drama. And Tim is wonderful as his agent/friend–they first worked together at Second City back in the 1970s, and they bring the feeling of their real-life friendship to these roles. George and Tim have both been tearing up the Broadway stage recently, so we are lucky to have them back here. And when you add in Amanda Drinkall as the daughter, along with the other supporting cast, well, I haven’t seen a better show all year. Funnyman is based on the story of Bert Lahr, who, late in his life, was offered the chance to star in the world premiere of Waiting for Godot, with elements of Buster Keaton’s childhood mixed in as well. It’s well written and well directed, and–well, just go see it. You’re welcome. This entry was posted in Improv, Second City and tagged #northlight, #northlighttheatre on October 11, 2015 by howardjohnson1985.